Continental’s Run2Stop campaign was a CSI initiative that involved teams of celebrity runners and cyclists racing across the country, completing tasks and challenges for charities and communities in need along the way. 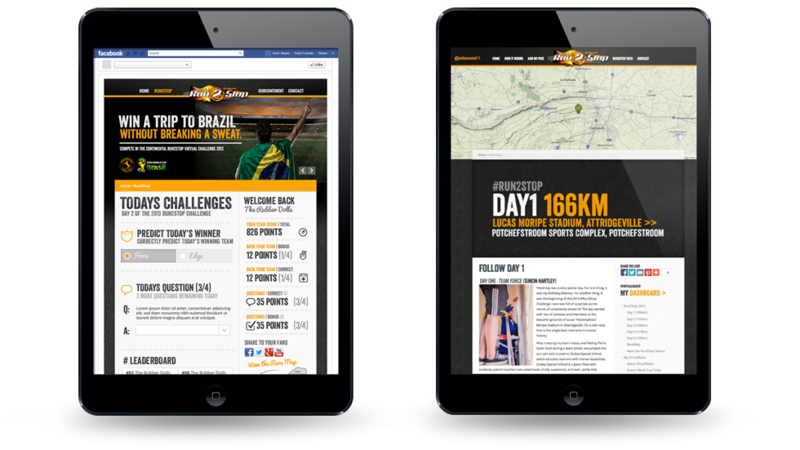 Brave needed to augment this campaign with an interactive digital component to allow competing athletes to share media in real-time with fans, and to allow those at home to follow the race and engage with the participants. It also offered the perfect platform to expose users to Continental’s corporate social initiative upliftment projects around the country. We leveraged the existing OUR CONTINENT platform (Brave's interactive travel map - see below) by adding the RUN2STOP layer on top of it. This allowed for real-time race tweets, pics, videos, comments, article posting and sharing by both the racers, and the content editors. 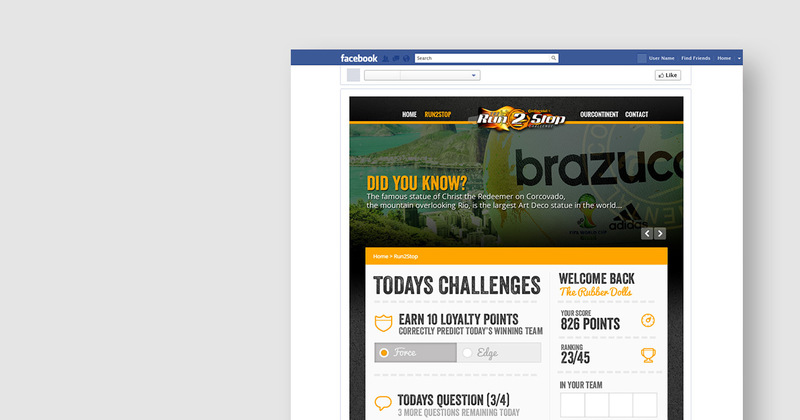 To engage those at home, we created a ‘Virtual Racer’ component to the campaign. This allowed fans to take part with the Virtual Racer app. They were able to join with friends online to create their own teams and answer questions in real time at various stages throughout the race, predict daily winners, and earn points towards winning an all-expenses paid trip to the 2014 Fifa World Cup in Brazil. 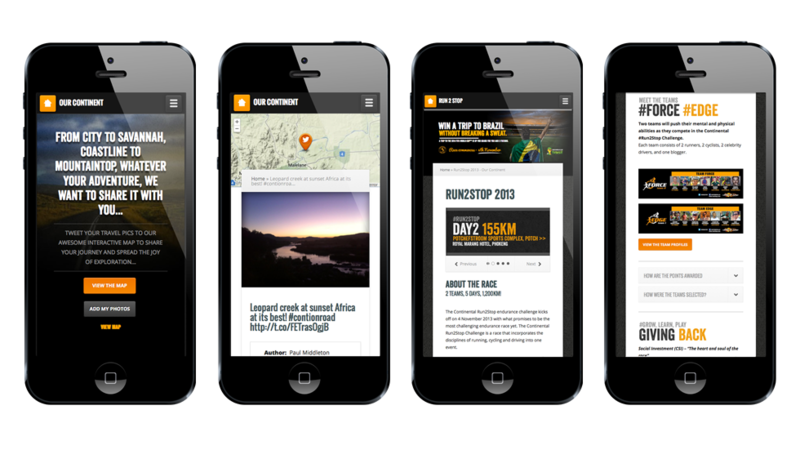 Our interactive travel map allowed users to engage with the Continental brand whilst out on the road. We built an online platform where users could easily share travel pics using their mobiles, tablets or desktops using the hashtag #OurContinent. Each geo-tagged tweet was automatically added to an interactive map, creating a wealth of self owned media for the brand which users could share, comment on, and interact with on their mobiles, tablets or desktops. The entire system was built with full moderation and administration capabilities, and was managed from a single WordPress platform. How can we innovate with you?